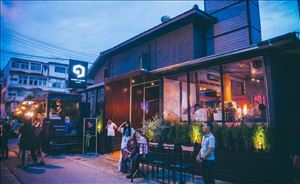 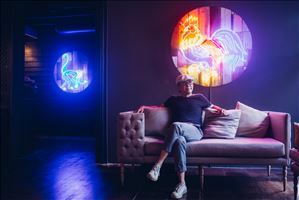 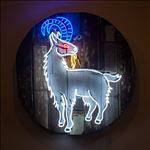 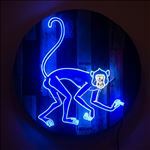 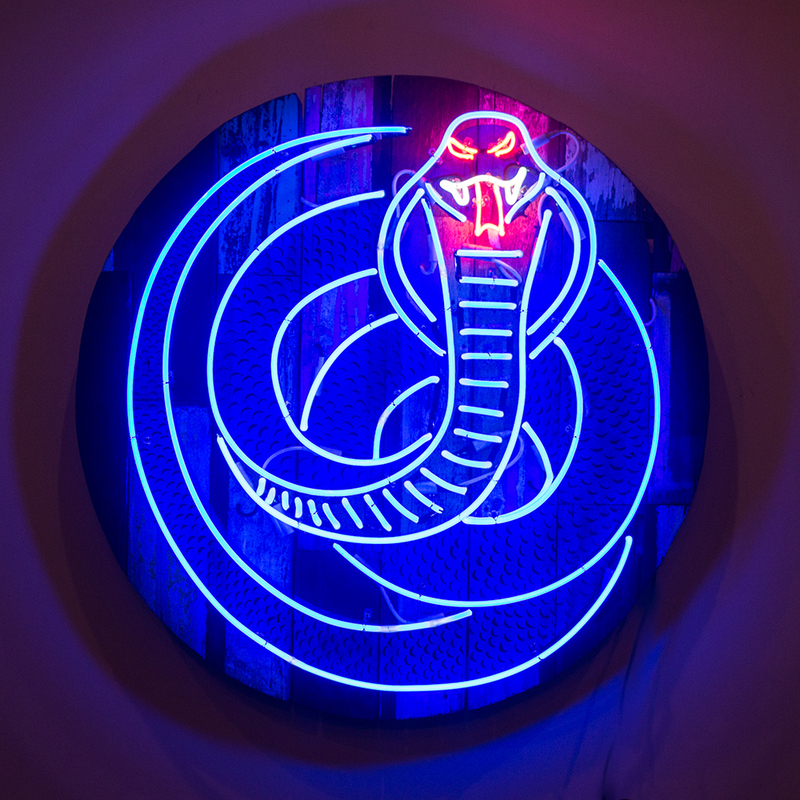 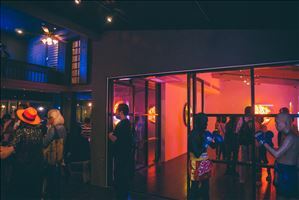 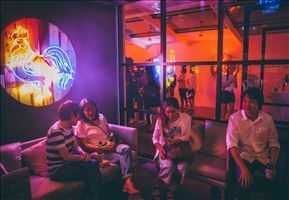 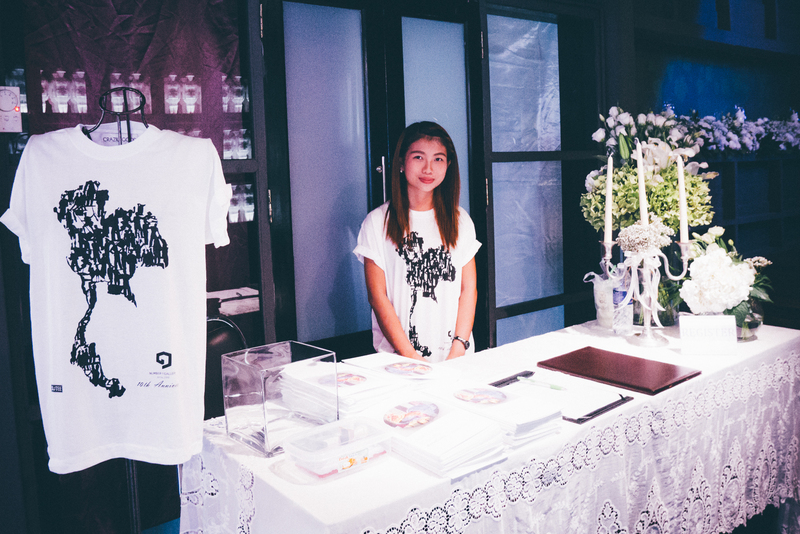 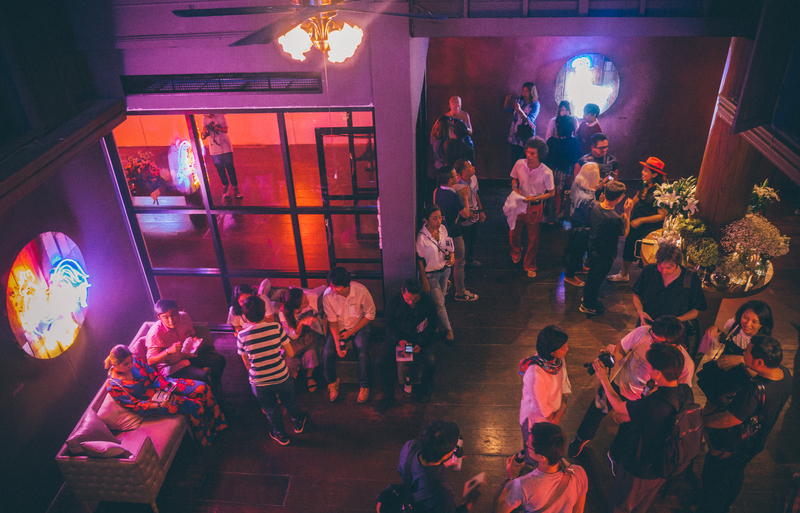 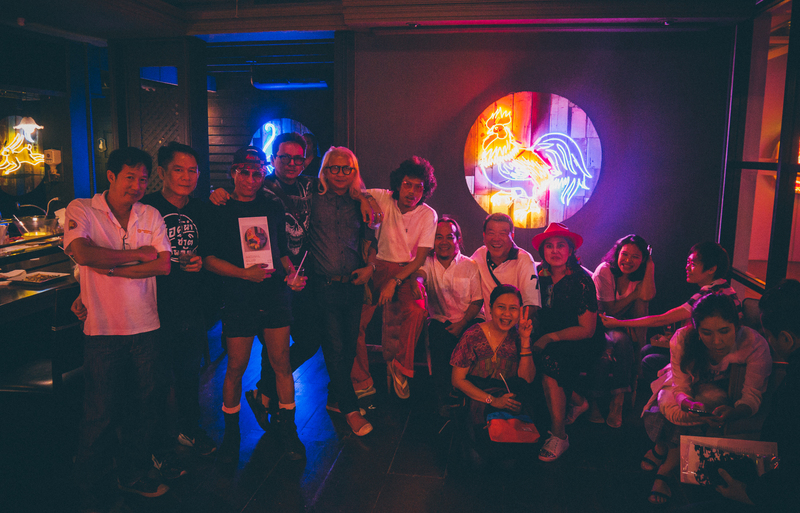 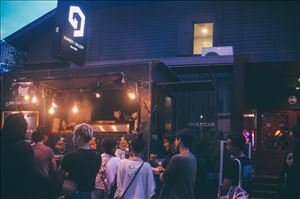 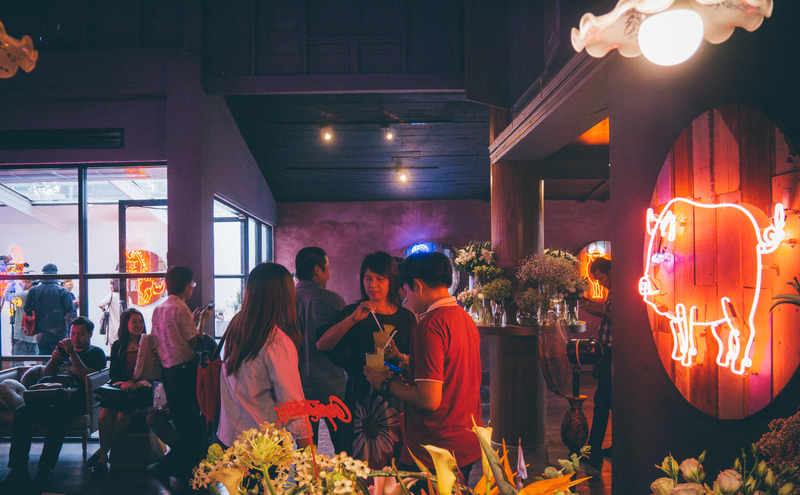 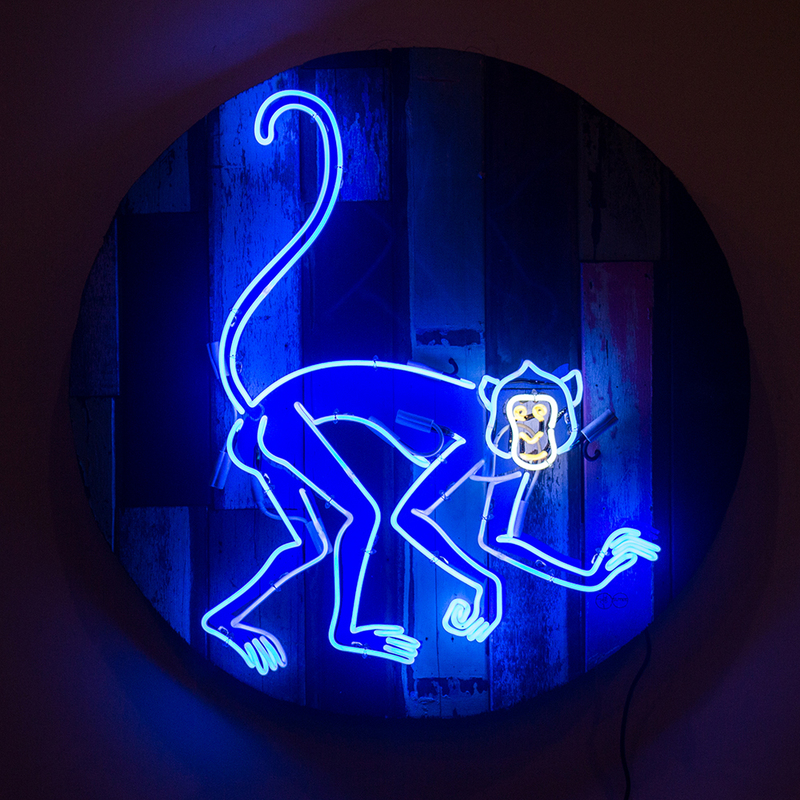 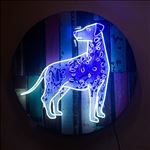 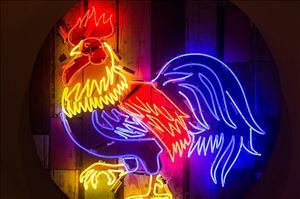 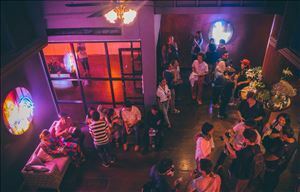 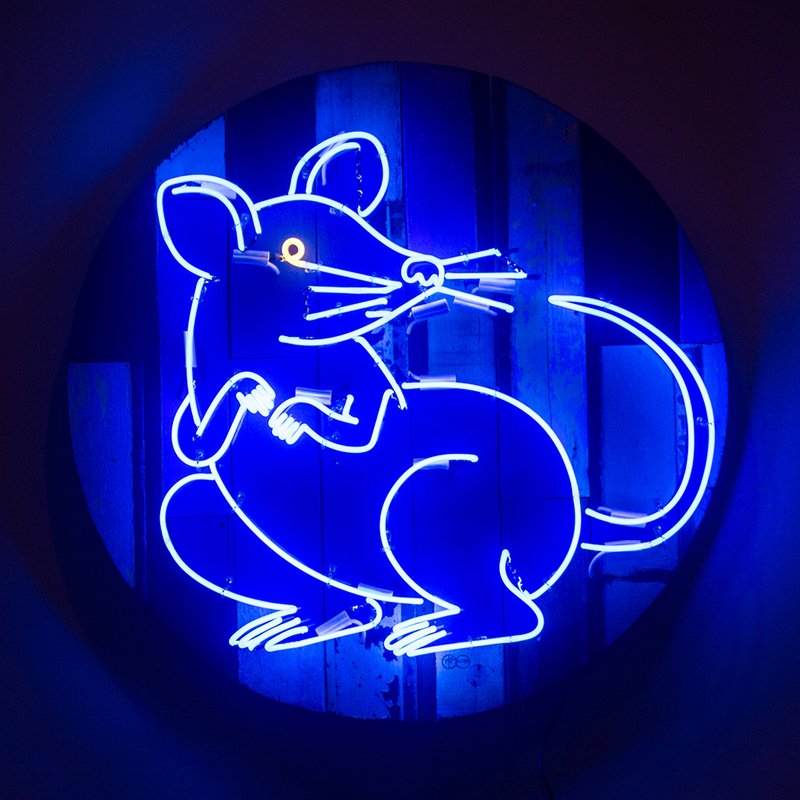 Animal Club by Sutee Kunavichayanont is a neon lightvisual art exhibition under the theme of an animal lovers club, where 12 different animals closely associated with Thai and Asian people are reimagined. 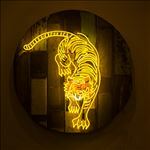 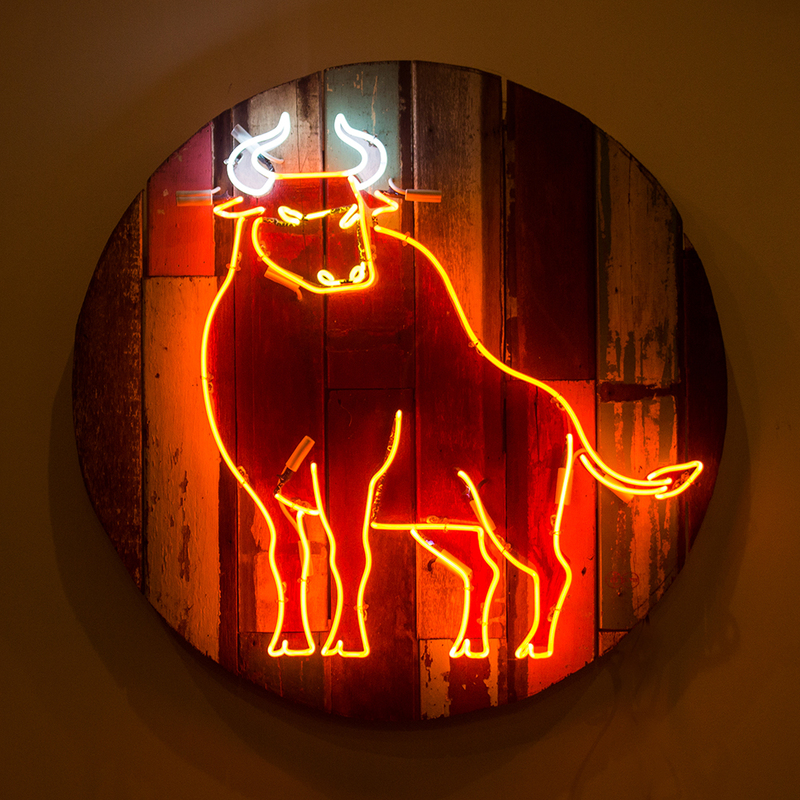 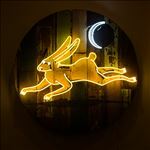 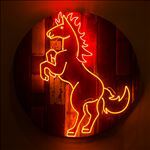 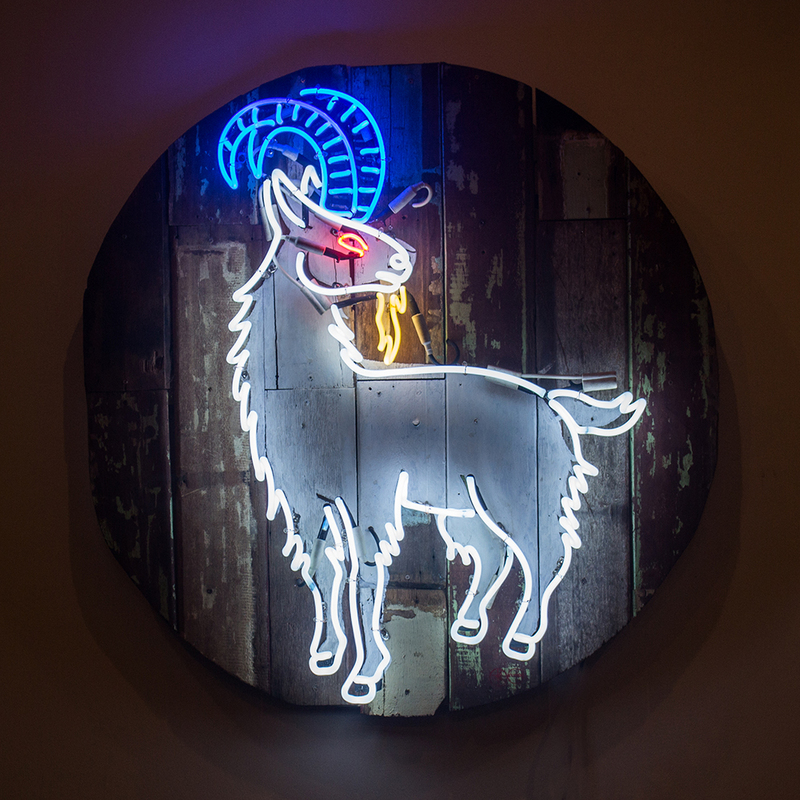 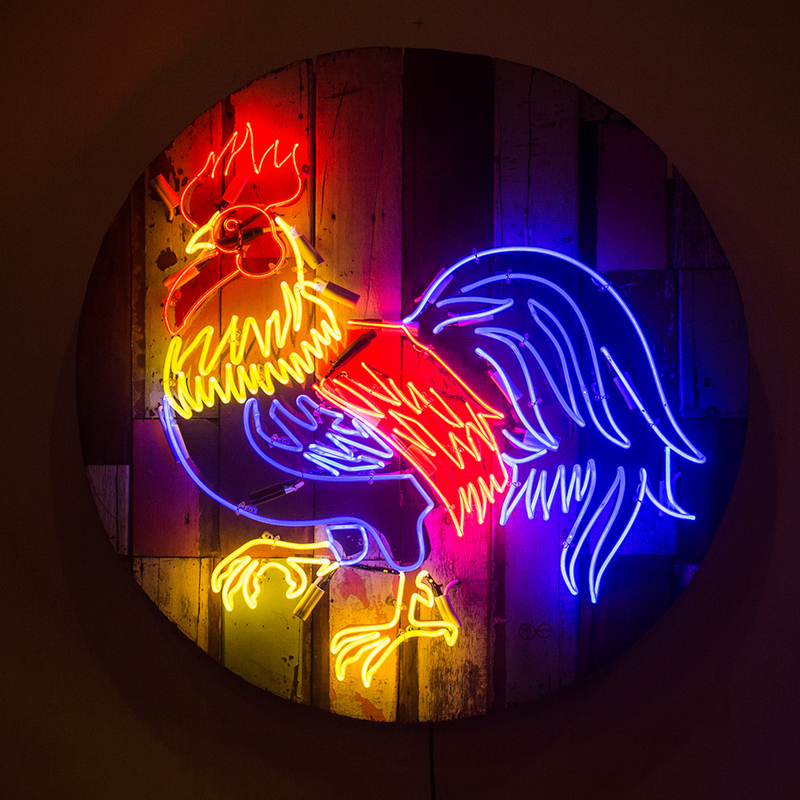 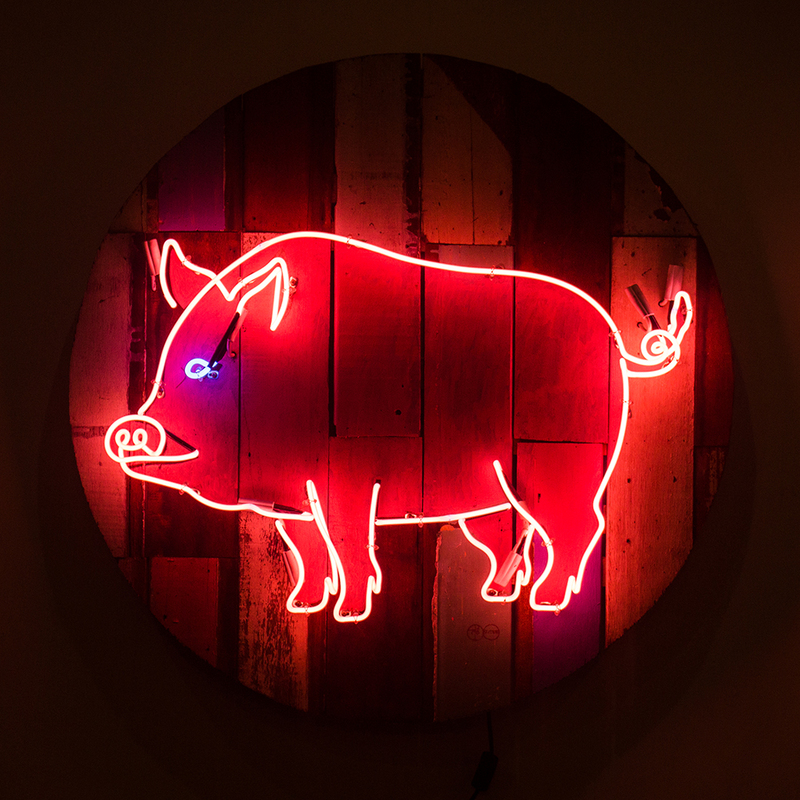 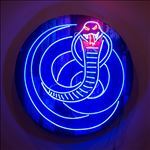 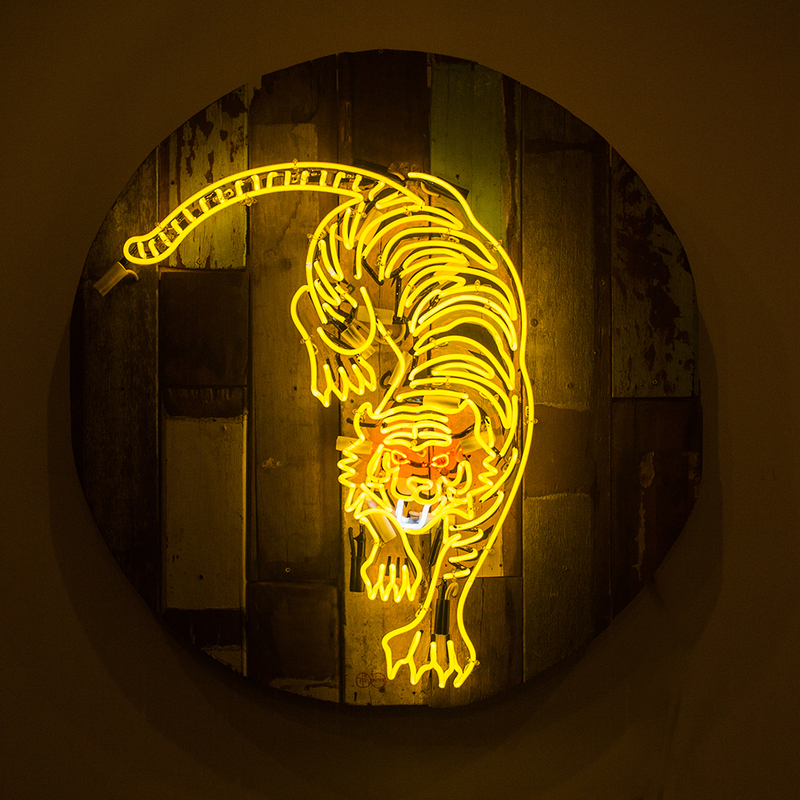 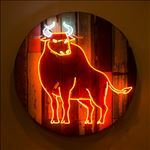 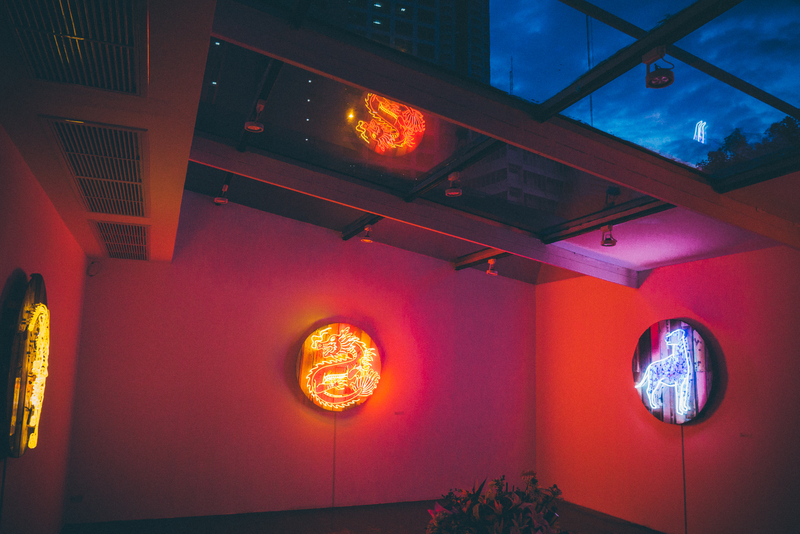 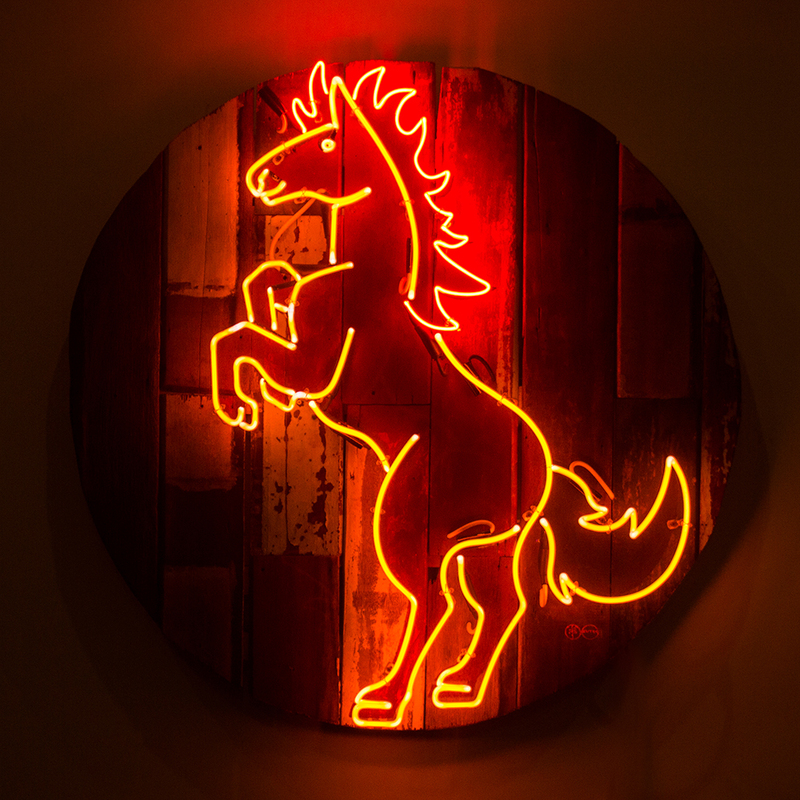 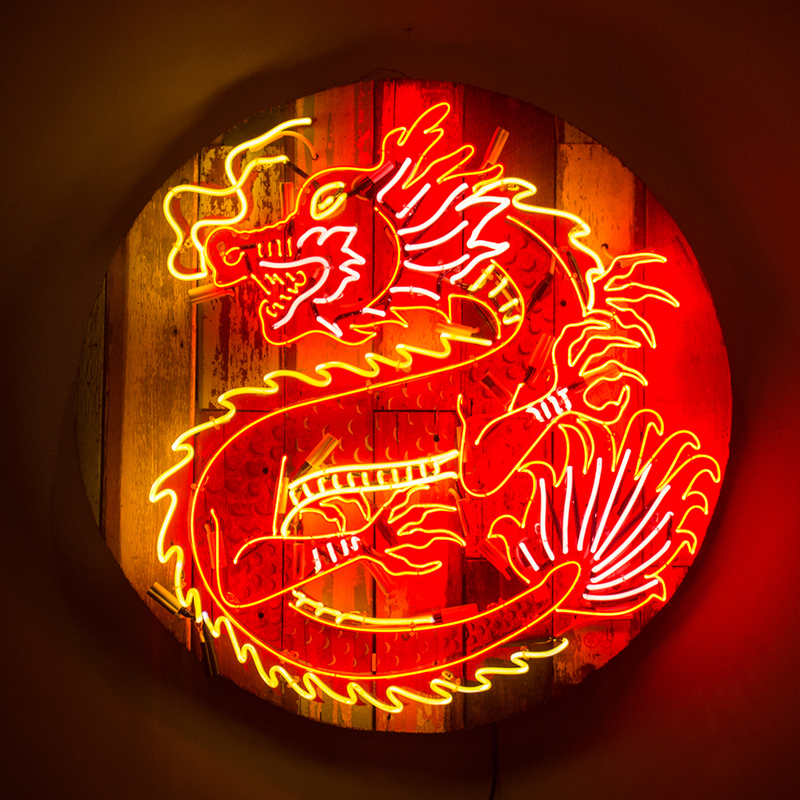 Sutee’s latest exhibition combines the traditional acrylic painting with neon light, with old wooden round plates employed as the canvas. 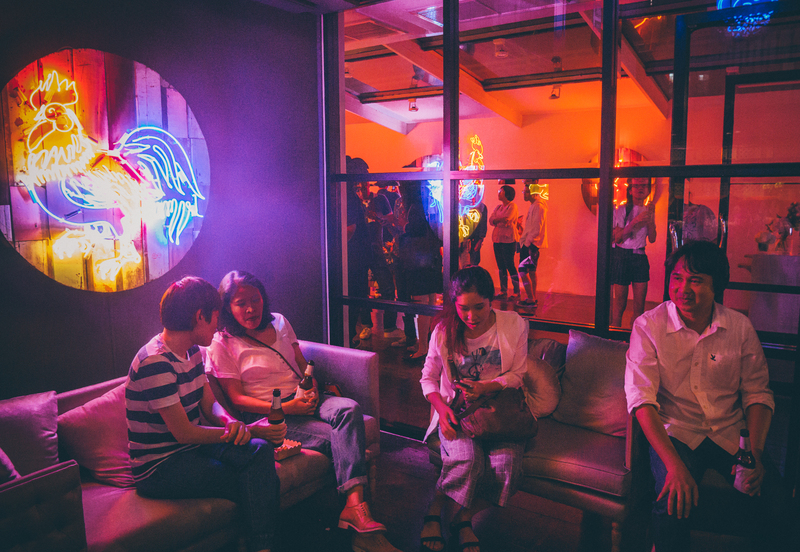 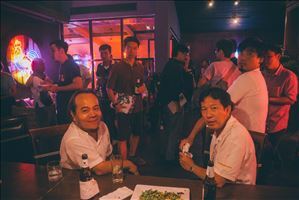 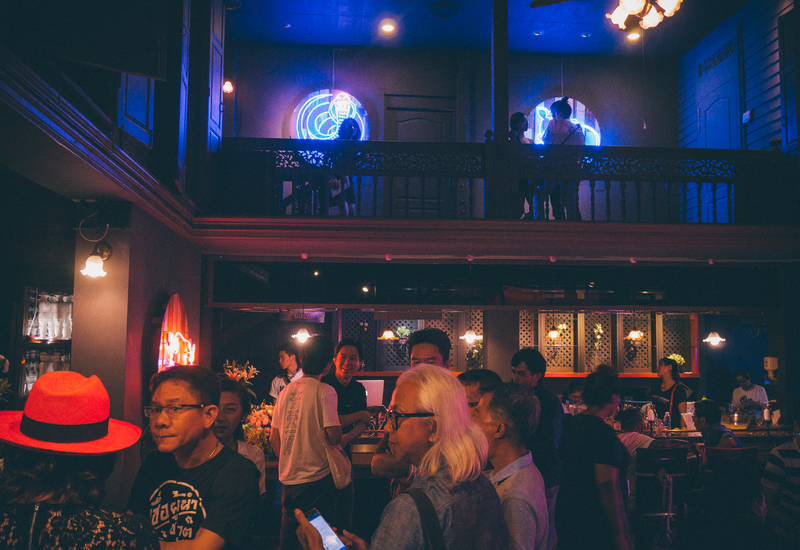 The exhibition mixes traditional painting techniques with new media within the undertone of a club based on the 12 Chinese signs of the Zodiac. 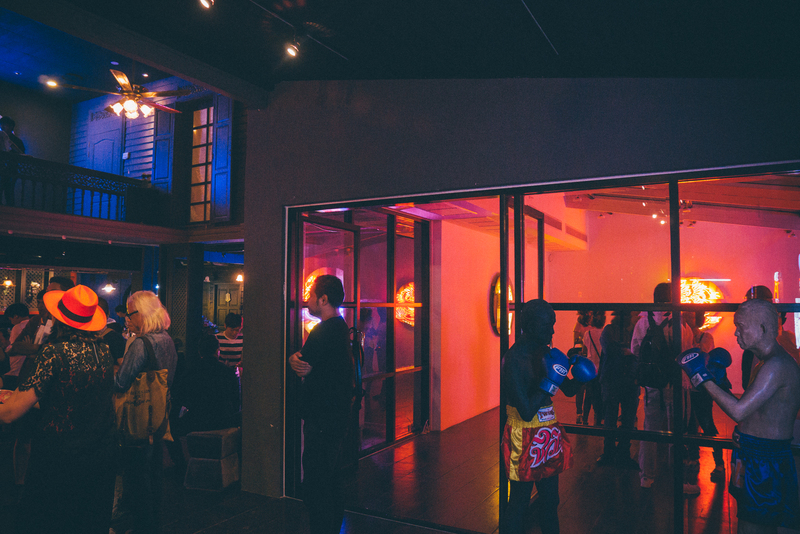 This is an exploration of juxtaposition offering the audience a novelexperience of visual art. 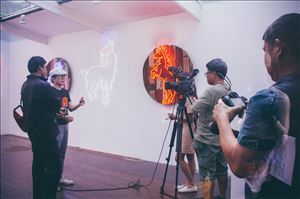 Animal Club is the latest solo exhibition by Sutee Kunavichayanont, a renowned Thai artist whose works have been displayed both locally and internationally. 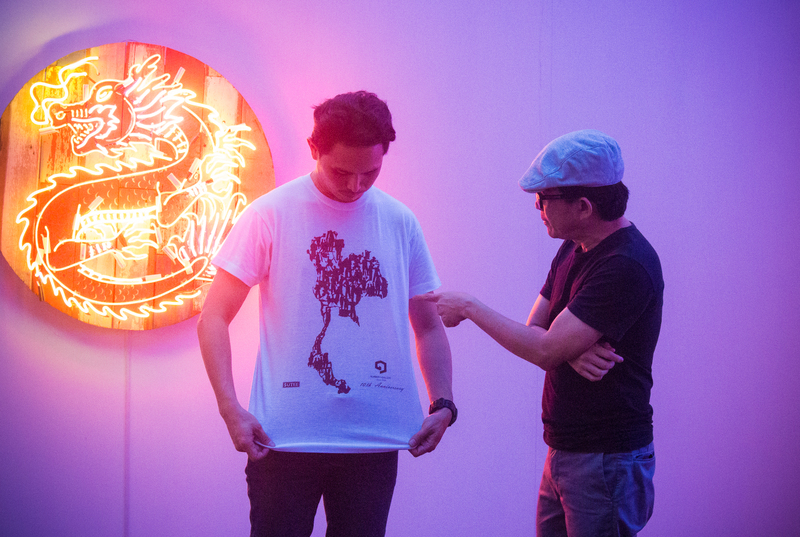 His artwork mainly deals with society, politics, history and Thai-nessin a sophisticated way. 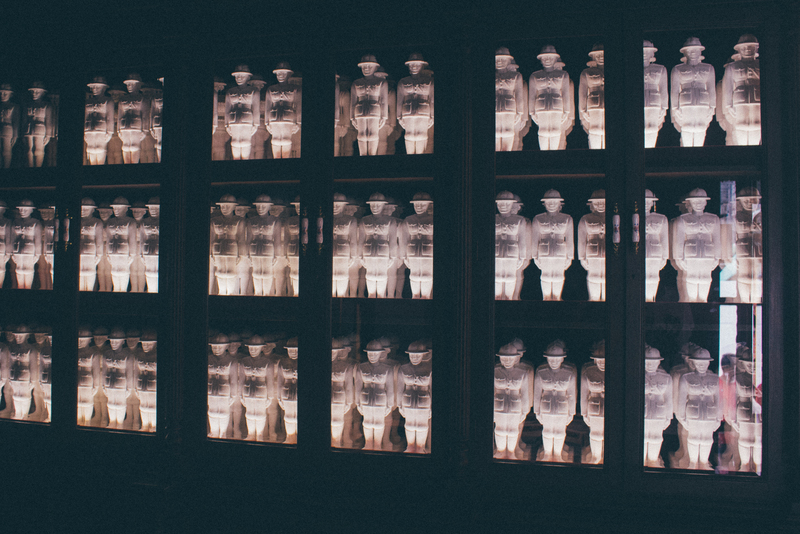 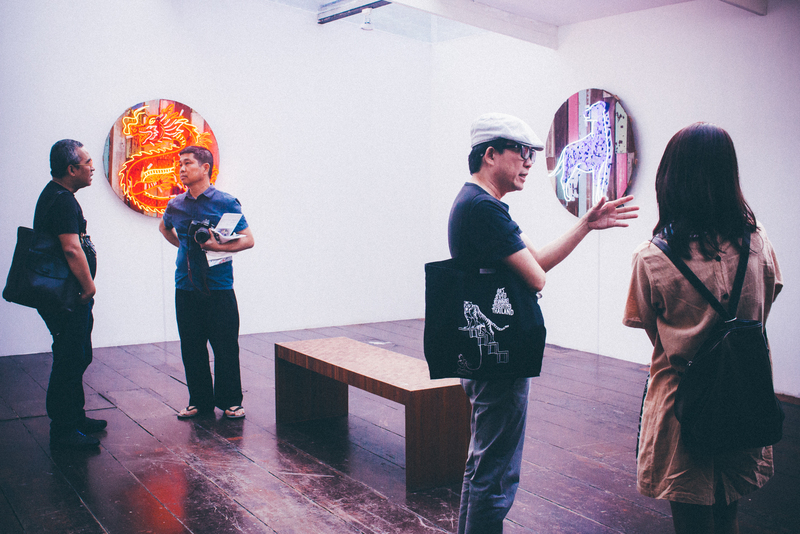 His interactive installations often combine form and concept to engage the public. His inflatable latex “The White Elephant” 1999, was his reaction to the Asian financial crisis of 1997-1998. Viewers are invited to inflate the elephant. 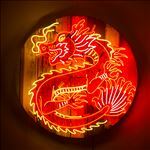 The strength required to achieve a full elephant again hints at the economic difficulties ahead. 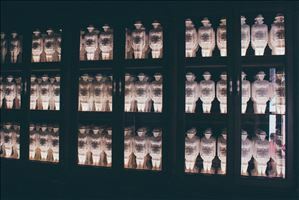 Another triumph of his is an installation called “History Class” where the audience is invited to produce their own history textbooks by rubbing the wood carving desktops of the old-fashioned children’s school desks. 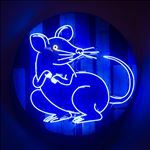 Sutee also works with other mixed media such as animation and typographic works. 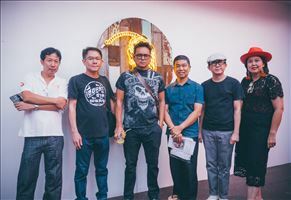 Apart from being shown extensively in Thailand, Sutee’s works have been featured in art venue throughout the world such as the Liverpool Biennial (1999) in UK, the Asia Pacific Triennial (2006) in Australia, the Fukuoka Asian Art Triennale (2002) in Japan, and the Asian Art Biennial (2015) in Taiwan. 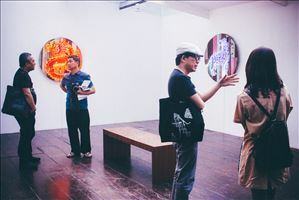 His selected works are collected in many leading museums including the Fukuoka Asian Art Museum, the Mori Art Museum,the Singapore Art Museum, the Queensland Art Gallery in Australia, the FEFW Collection, the Museum of Contemporary Photography in Chicago and the ARTER Foundation in Turkey.